Since their launch in December of 2012, Portland, OR.-based Kiriko became an instant favorite. Helmed by Dawn Yanagihara, a fifth generation Japanese-American, Kiriko quickly made a name for itself by importing Japanese textiles, most notably their vintage (up to 100 years old) boro fabric, and creating accessories that melt tradition with modernity. Just recently they launched a new Japanese denim line for men and women. 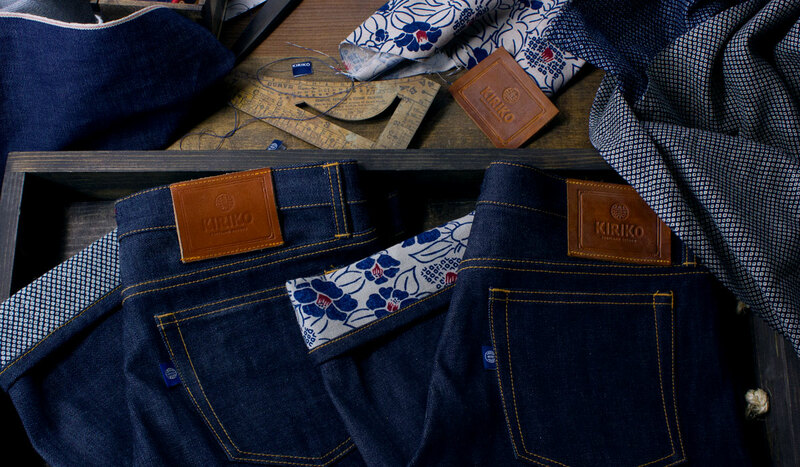 Like all their scarves, ties, pocket squares, pillows, belts and other accessories, Kiriko denim is all about quality and craftsmanship. 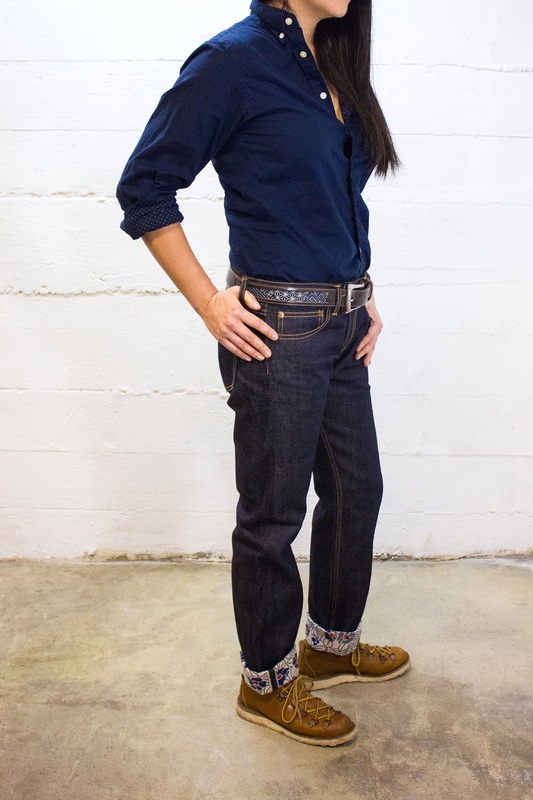 The denim is 100% cotton 13-ounce selvedge made in Fukuyama City, Japan and Dawn believes it will truly last a lifetime. 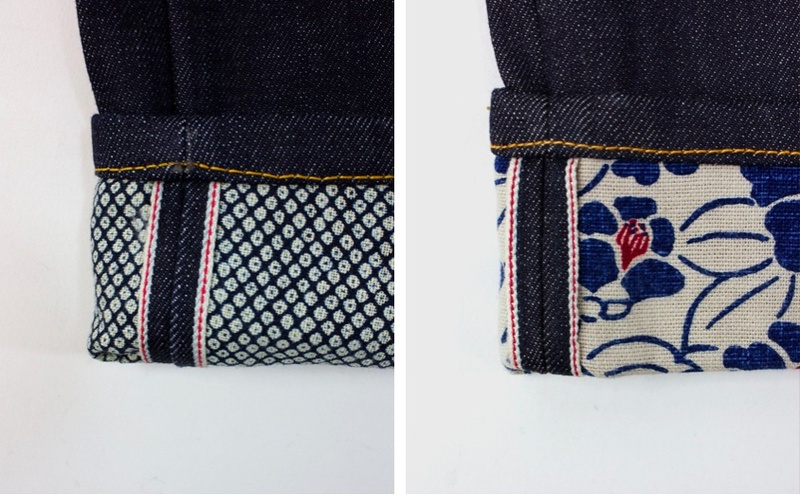 What I love is how the denim is cuffed with Japanese textiles (two options of patterns) for a great rolled look. 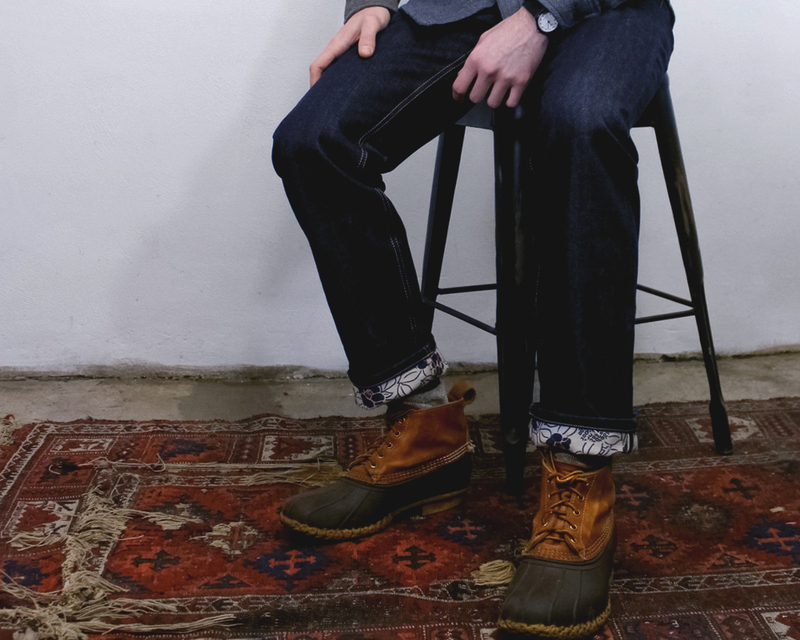 Kiriko Denim ($185) is unisex, check their measurement guidelines for sizing and more info. I love it. Awesome post! I think you have a typo in the header? Very nice and interesting style!